For 20 years, Pantone’s Color of the Year has been influencing (has been influenced) product development and purchasing decisions in variety industries, including fashion, interior design and graphic design. Pantone Color Institute, which establishes the Pantone color of the year, collaborates with excellent brands by estimating seasonal trends and research on color psychology. 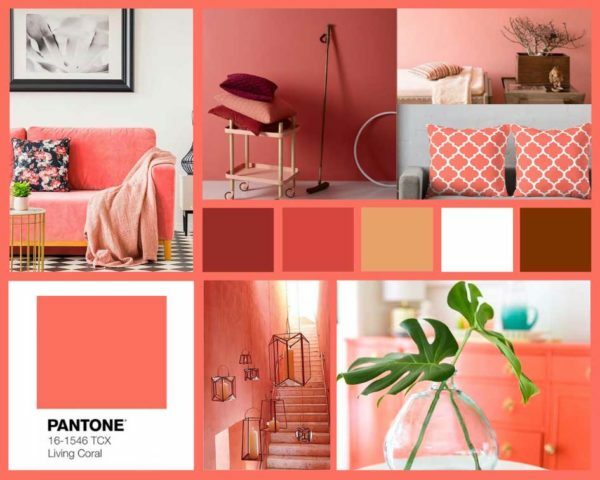 The color of the year 2019 is the LIVING CORAL PANTONE 16-1546.
we looked for a color that communicated humanity, in response to the dehumanization of this digital age. This color brings comfort and makes us feel good. Living Coral derives from the coral color, symbol of the sea depths. It is a warm orange shade with golden undertones, which, in addition to representing the close link with nature, infuses well-being, optimism and liveliness. How does Living Coral match the style of your house? Living Coral is perfect for combinations in all home’s ambiance. Its strong energizing power makes it suitable to be used in living areas, both in large and smaller spaces; the important is always to mix it with style and not with excess… It can be used in the choice of accessory, (fabrics, pillows cover, drapery) or maybe small decorative objects. It fits perfectly with Grey, Green and Violet. If you love to renovate your home and follow trends, we suggest you use Living Coral shade for objects that you can change often, but for the choice of floor and wall is better to opt for a solution that doesn’t boring you over time and that are well suited to be combined with the trend colors, like the proposals of Ceramica Mediterranea. The combination with a floor from the shades of wood, both light and dark, highlight the solid connection between Living Coral and nature. We therefore propose to combine this color with another trend in interior design in recent years: wood-effect porcelain gres. it resists to chemical agents to scratches and treading. 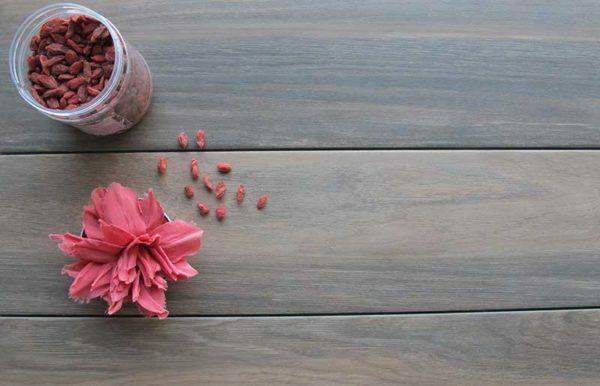 La collezione The collection Ceramica Mediterranea Barrique, for example, is available in different colors as Castagno and Rovere that sharpens the warm shades of Living Coral and make a warm and elegant atmosphere. For those who prefer a more material appearance of the surfaces, the Resort collection offers wood-effect tiles in gray, walnut, oak and honey. 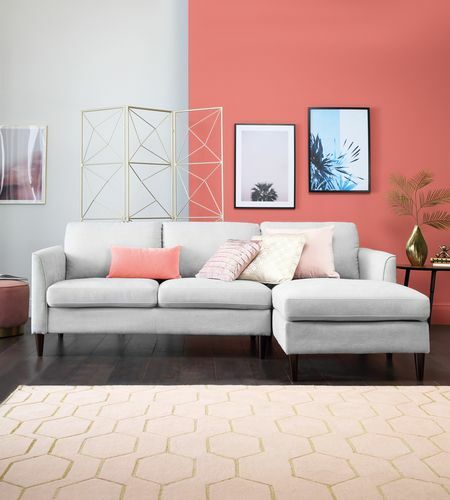 Another optimal combination for Living Coral are the shades of gray, which make it stand out the contemporary and refined taste. 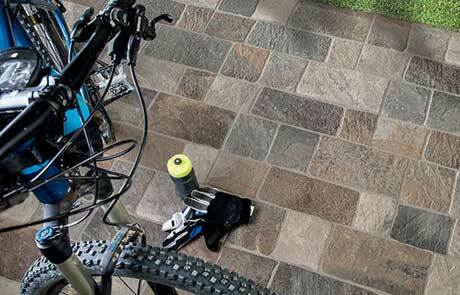 The LONDON collection offers a wide range of shades, from white to anthracite. It is perfect for all the contexts of the house and can be used as the only choice, giving continuity to the rooms and giving ample space to small houses. resistance: it is very difficult for a tile to chip, but in this case it is possible to make a single replacement, while with the the resin and of micro-cement may crack, break or yellow and the installation should be rebuilt on the whole surface . The colored walls can animate the house and make it more cheerful, the Living Coral will infuse optimism and energy. paint a wall and leave the others white: in this way we accentuate the brightness of the color and define the living spaces. Living Coral combinations: mistakes not to be made. 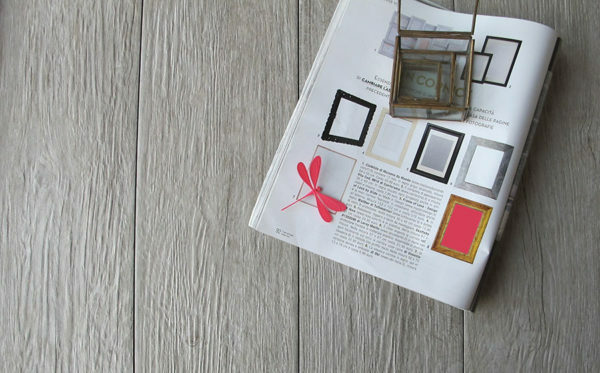 Although Living Coral is perfect for painting the walls of your home, we believe it is better to reflect about it. We do not recommend using it in the rooms of the children: it has proven that such bright colors stimulate and enliven the environment and the people exposed to it. In this ambiance, instead it is advisable to use pastel and relaxing colors. Combining the Living Coral with red or orange could be excessive and make the atmosphere of your home less relaxing and trendy. Even the combination with yellow and turquoise could be hazardous, but they are perfect for a pop and eclectic style. Want to know more about Ceramica Mediterranea collections? Contact Us!